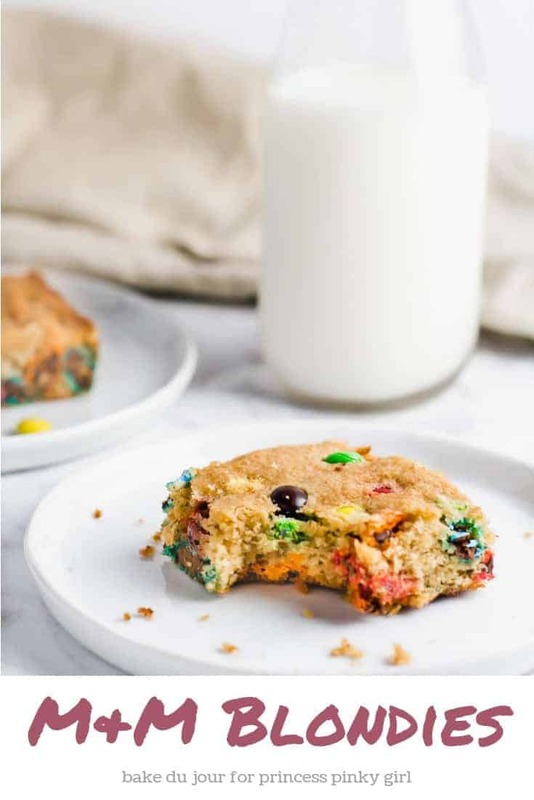 Chock full of M&M’s and a delectable vanilla flavor, these M&M Blondies make for a perfect snack any time of day! Ready to shake up your blondie recipe? 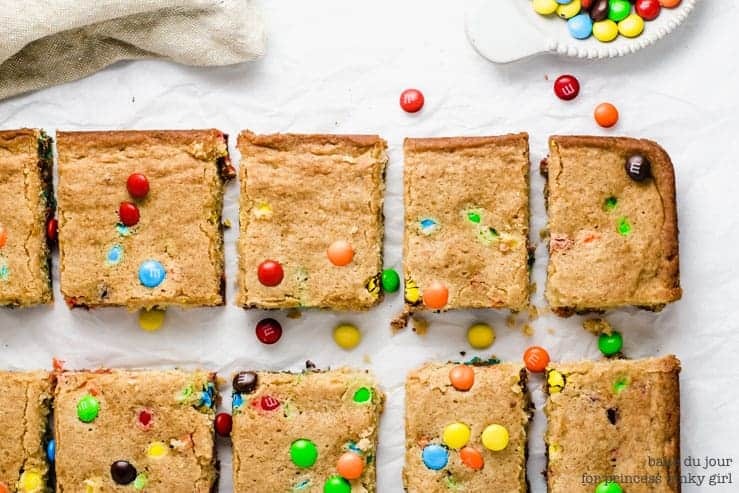 Adding some M&M’s to this perfect blondies recipe takes this soft and chewy dessert to a whole new level! Hi all! 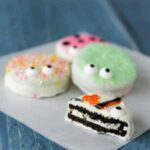 Ann from Bake du Jour here again. ? Today, I’m super excited to introduce these M&M Blondies into the world. 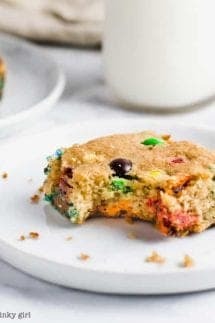 It’s a super simple recipe: you’ll just need some basic baking ingredients, some M&M’s, and you are off to the races! I know that fall is almost in full swing now, which means that pumpkin is on a lot of people’s minds… but who ever said that getting back to basics wasn’t satisfying? What is a Blondie versus a Brownie? A blondie is a bar that is soft, chewy and has either a butterscotch or vanilla flavoring and include brown sugar in the recipe. A brownie, is considered the opposite of a blondie and is typically a denser dessert with a chocolate flavor. 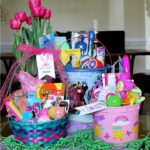 The batter comes together in about 15 minutes and the best part? You don’t need to break out the mixer at all! A little bit of elbow grease should do the trick. 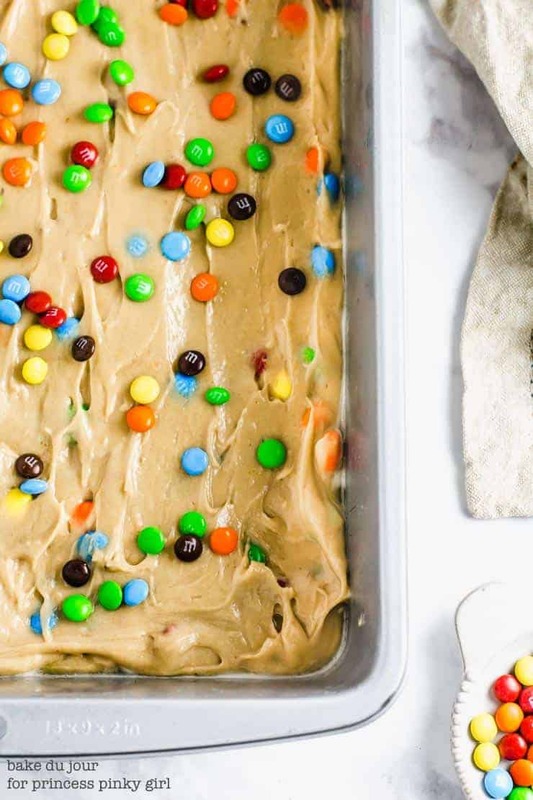 And while I did use M&M’s here (because let’s face it, M&M’s are kind of the best), you should totally feel free to make this recipe your own by using whatever candy you like! To be honest, I think these would be real good with crispy or pretzel M&M’s—I feel like the crunchy texture would be welcome here. The hardest part about this recipe? Having to wait till the whole thing cools before you can slice them up into squares. Seriously, how inviting do they look? I persevered though, and managed to keep myself occupied while they cooled. Then, once they were ready, I immediately poured myself a glass of milk and had one or two (okay, maybe closer to three) squares! So. Good. 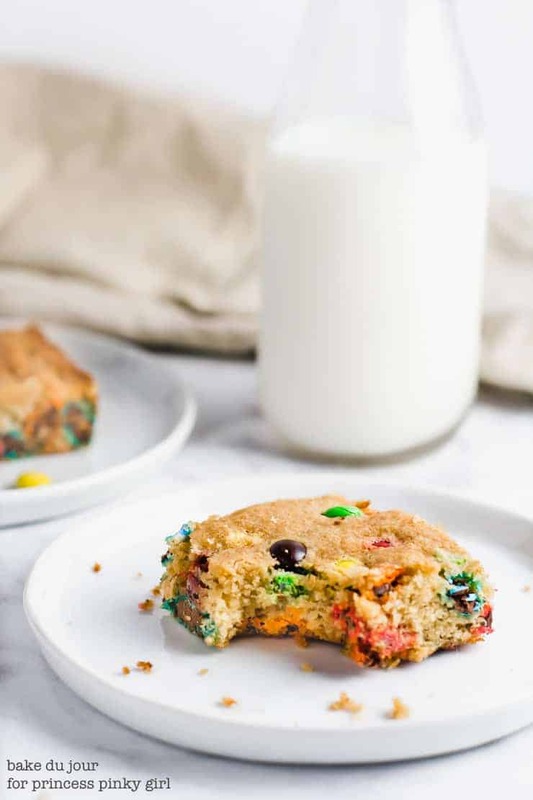 Chock full of M&M's and a delectable vanilla flavor, these M&M Blondies make for a perfect snack any time of day! Preheat oven to 350F and grease a 9x13 baking pan with nonstick spray or line with parchment paper. In the bowl of an electric mixer, combine the melted butter and light brown sugar and mix for about 2 minutes. Add the vanilla extract and eggs, one at a time, and mix until each one is incorporated. Slowly add the dry ingredients into the mixture and stir until just combined. Then, add the M&M's! Pour the batter into the baking pan and bake for 20-25 minutes, until a toothpick inserted into the center comes out clean. Allow the blondies to cool completely before slicing.